This was a residential (Class 2 | Cat 1) water loss that resulted in the dual basin sink and the associated garbage disposal being detached during the mitigation phase. 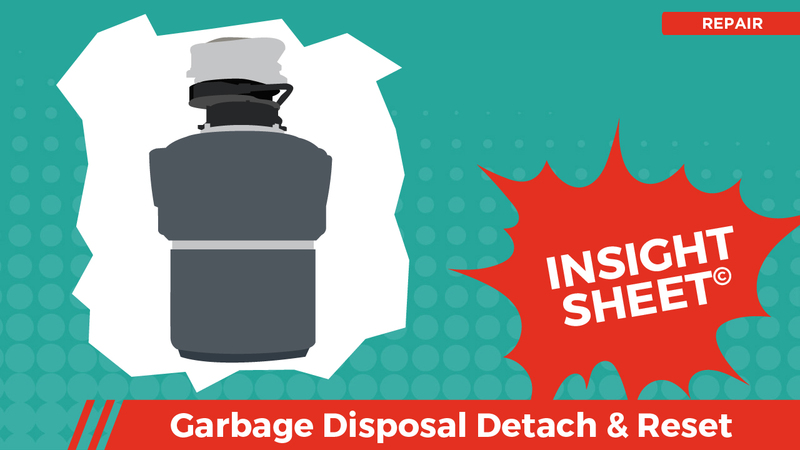 Sometimes the garbage disposal will remain connected to the sink, but many times this is not the case, especially when dealing with a high-end under-mount sink. The disposal was relocated to the garage for the duration of the mitigation and repair phase. The fact that the disposal was hard wired (as opposed to plug-in) required some additional concessions which we will explore. 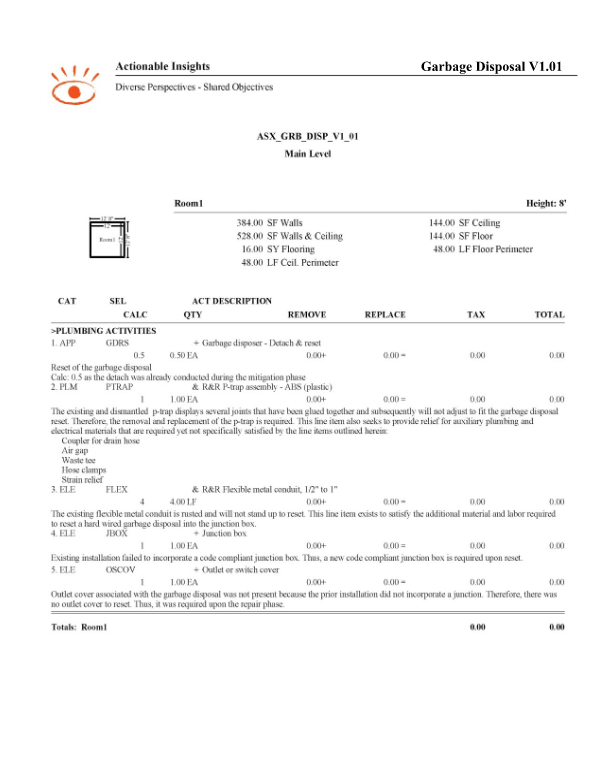 This Insight Sheet exists to clarify how one might invoice for the detaching and resetting of a garbage disposal. This does not seek to include or make concessions for all equipment and/or activities as it relates to a loss of this nature.